The curse and blessing of a liturgical church. When everybody else has already moved on to Christmas, maybe they’ve been on it for a month, we are still in Advent. The day is often given over to Mary and the magnificat. There is a great recording of our choir singing one of those here. But I’ve been spending time with the minor prophets this season. We’ve been taking them in bible class, and I felt I had to bring one into the pulpit. One more day of blue and purple. One more day of the penitential and the hopeful. Grant me 15 minutes of Advent on this 4 Sunday of the season. We’ve got a bakers dozen for Christmas starting tomorrow. 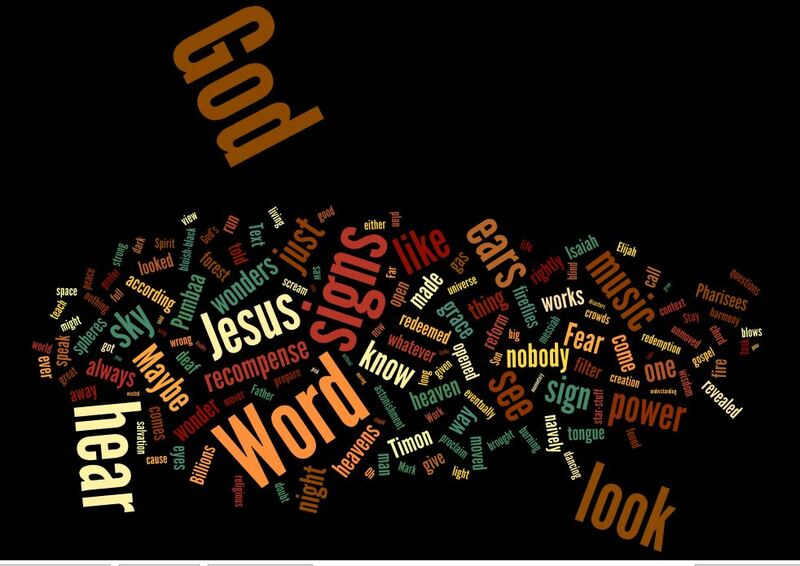 I didn’t do my normal word cloud for this, instead above is the Icon of Mary Magdalene. She was one of the Mary’s that went to the tomb to spice the body. The icon captures both of those things. In her left is the jar of spice, but in her right is that bright red egg. That egg is a very ancient symbol of the resurrection. That bright red is the blood that bought this day. The sermon focuses on the uniqueness of Mark. It ends with Mary running from the tomb afraid. It is an existential question. We know what happened with Mary. She took courage and told the others. Mark’s point is a question to us. We’ve seen the empty tomb. We’ve heard the resurrection. It demands we live in hope. Do we take courage? Or do we stay in fear? This Morning is different. Choose to live. The text is the parable of the talents. We have trouble reading this today I think because the word talent itself has become on English word with a meaning. A specific gloss of this parable is part of our language just in the use of that word, talent. What this sermon attempts to do is hear the parable in parallel with last weeks, and not just accepting the embedded gloss. I did that because that embedded gloss skips the gospel. It delivers the moral punch without pondering the reason why. To me the talents is all about our big choice in this life. Who is God? Is God hard and capricious and untrustworthy, or his He full of steadfast love? Is the economics of the kingdom about scarcity or about love? The amount of talents, the returns, the numbers that catch our attention are so much yawn. What the Lord is interested in is the attitude of our hearts towards him. Do we trust him to do what he’s promised, or not? 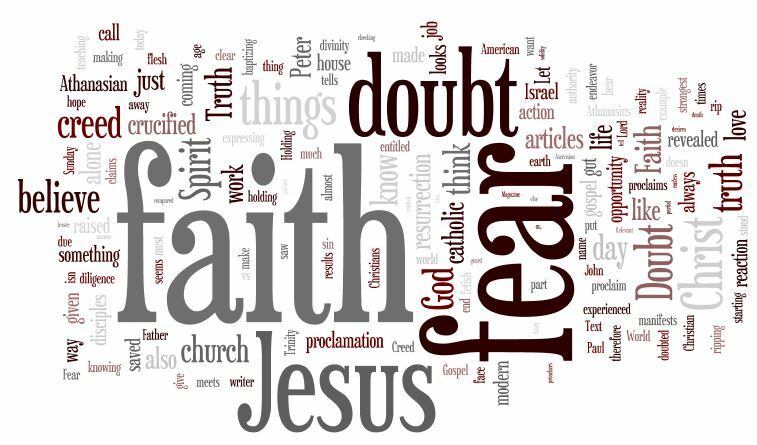 Are we fearful, or faithful? As we start the long green season the readings have dropped us into the Missionary Discourse. That is a fancy way of saying Jesus’ sermon on sharing the faith. We read the start of it last week. This week in the middle we have Jesus both telling us what to expect, but also his encouragement. The expectation is various levels of persecution. But we are still disciples. We are call to follow the crucified. The core of the argument is encouragement. In the face of persecution the natural response is fear. 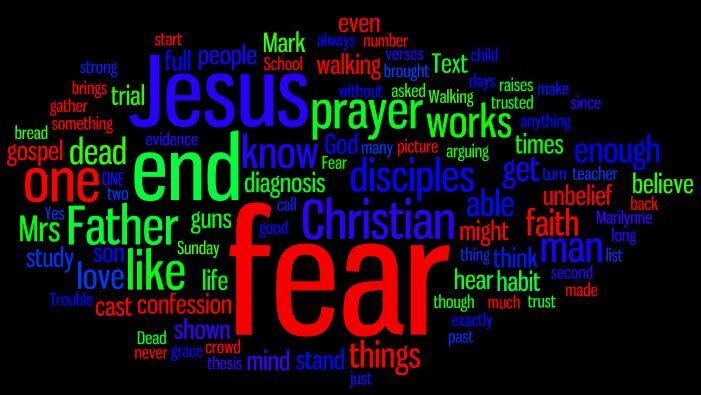 Jesus three times says stop fearing. And with each tells us a bit of why we should have no fear. Telling our faith is an appropriate reading for the day. In the Lutheran Church- the Church of the Augsburg Confession – June 25th is celebrated as the Presentation of the Augsburg Confession. This is what should be known as reformation day. If you get me going what I’d say is that out of the Reformation came four churches. The first is the church of the Augsburg Confession (1530). Then came what we know as the Roman Catholic Church formed at Trent (1545-1563), The Anglican church with the 39 Articles (1562), and the Reformed Church which had its earliest generally accepted confession in the 2nd Helvetic (1562). The Lutheran versions have always been at great pains to say this is the faith that has always been confessed. Yes, the Romans ran away with the most people, but Augsburg is more true and the first flag raised in the ruins of the old Western Church, caused in much the same way that the missionary discourse begins, with Jesus recognizing the shepherds of the people have abused and left the post. Worship Note: I left in two of our hymns today. The congregation was in great form especially in the opening, LSB 913, O Holy Spirit Enter In. I also left in our closing hymn, a sentimental favorite that is a great capstone to the text and sermon, LSB 725, Children of the Heavenly Father. 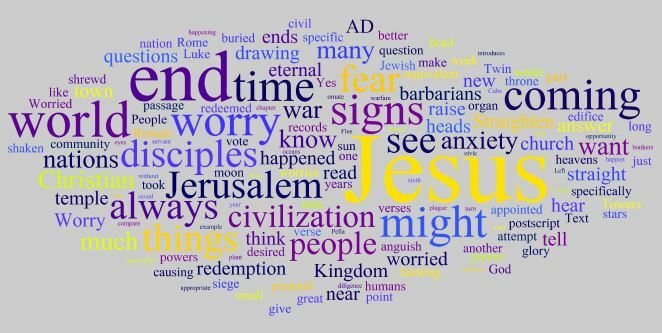 We are already in the last two weeks of the Church Year, so what that means for the texts is typically various parables and text that relating to the end. Some are more end focused while others have a near meaning in the AD 70 destruction of the temple. This text is one that is heavily focused on AD 70, but Jesus seems to invite some meditation at the end. This sermon looks at the difference in how Jesus describes AD 70 from how he turns to the end. While in AD 70 he gives the warning to flee, in the end the command is to “stand tall and look up, for your redemption draws near.” That difference has influenced the Christian attitude to worldly events during the entire time of the church, or in the words of the text “the time of the gentiles”. The signs of the kingdom’s coming happen all the time. What the Christian takes from these is not fear or anxiety but assurance. Our redemption draws near. The applied moral is really for this congregation. We are debating the purchase of a new organ. The sermon attempts to calm some fears in those matters. Worship Note: Two musical parts are left in. Our opening hymn: Wake, Awake, for Night is Flying is the classic Lutheran chorale, LSB 516. Also, our choir sounded very good today at full strength singing the Psalm of the Day, Psalm 98. There’s a Sky! And it’s Blue! I hope this sermon is meaningful. There is a lot of thinking that has gone into it not just this past week, but for quite a while. In one way it is my attempt to address Charles Taylor’s A Secular Age. That is not a book for everyone, but I think he is correct in being trapped in an immanent frame. The Chesterton quote I think captures the problem with this. And part of the reason this is so hard to escape from is because I think our situation is the opposite of the scriptures. And for that matter the opposite of the Reformation. Both of those ages feared a Holy God, but had trouble understanding his love. As such they were lacking on wonder. Our age has no problem thinking about the love of God, primarily because we have either substituted ourselves for God, or we’ve domesticated God. But we’ve lost the fear, or neither of those conceptions of God all for a holy fear. Wonder is that combination of love and fear. And that is what we’ve lost. 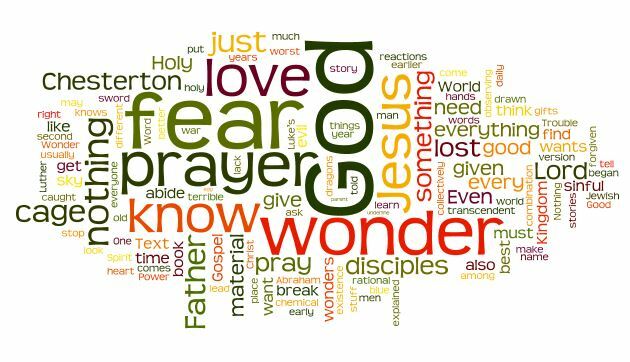 This sermon, reflecting on the Lord’s prayer and Abraham’s experience, attempts to make real both the fear and the love. It attempts to break us out of our wonderless cage, to live before the God of wonder. Recording note: This is a re-recording after the fact. We had some trouble with the mic’s this morning. Guess I haven’t chased down that ghost yet. So, because of that, I don’t have a hymn with it. Just hum What a Friend We Have in Jesus. 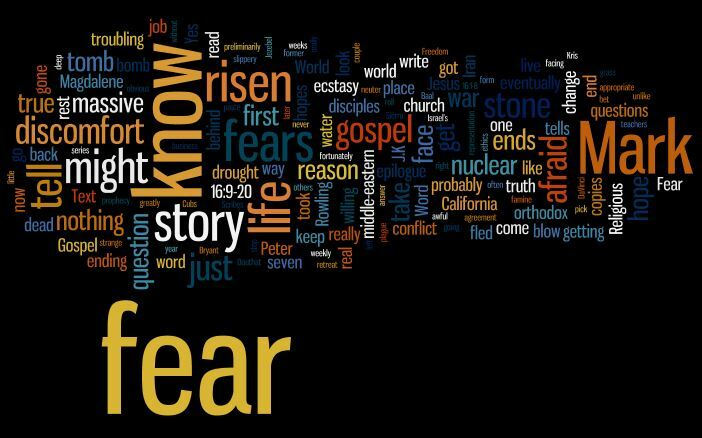 The Easter Text in Mark’s gospel ends on a strange word – fear. What this sermon does is look both at our discomfort at fear and at what Easter has to say about it. Mixed in with a bit about that interesting ending of the gospel. Happy Easter! He is Risen! He is Risen Indeed. Alleluia! The start of that title is an interesting bit in Matthew 28:17. It is made all the more interesting because of the liturgical day of Trinity Sunday. On Trinity Sunday we confess the Athanasian Creed which is the most strident of the three historic creeds in its statements and sweep. In that way it mirrors the statements by Jesus right around that interesting bit. What this sermon does is examine the current fetish with doubt, point to the real trouble which is not doubt itself but fear, and look at the ways that both fear and doubt are calls to The Faith, expressed in clear form like the creeds, and to faithfulness. Lastly, it attempts to knock down one of the great fears behind clear statements of the faith, by recalling Jesus’ final words and Peter’s Pentecost sermon…Let all Israel know for certain…(read/listen to the sermon to hear the rest).